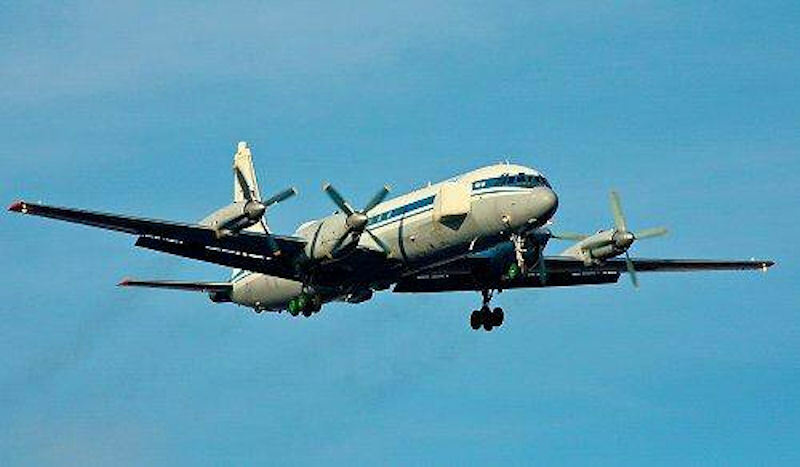 Russia’s air force took delivery of the first three Ilyushin Il-22PP Porubschik aircraft in November 2016. Featuring up-to-date jamming equipment, they are capable of disabling electronics systems on enemy planes. 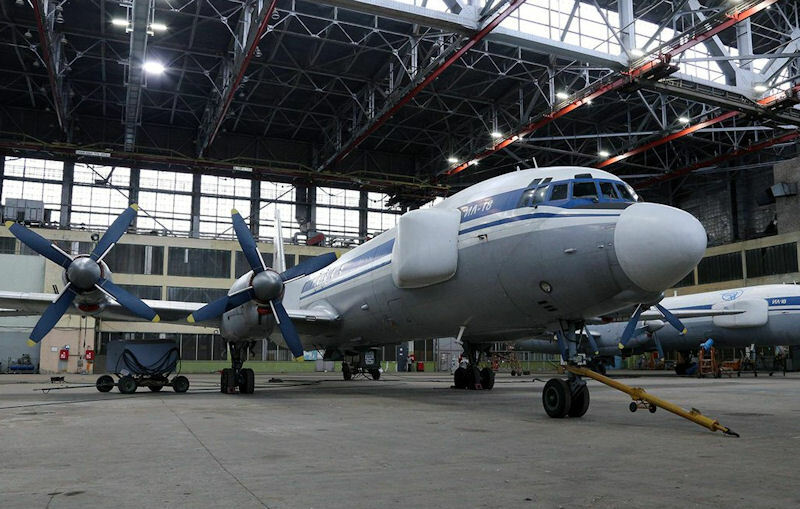 Within the OKR “Porubschik” program frame, the Russian Defense Ministry, signed in 2009 a contract with “Myashitsev” bureau, for the modernization and development of jamming technology airplanes based on the Il-22 (control and command airplane). In 2011 the first modified plane was delivered for initial tests with serial number RA-75903. 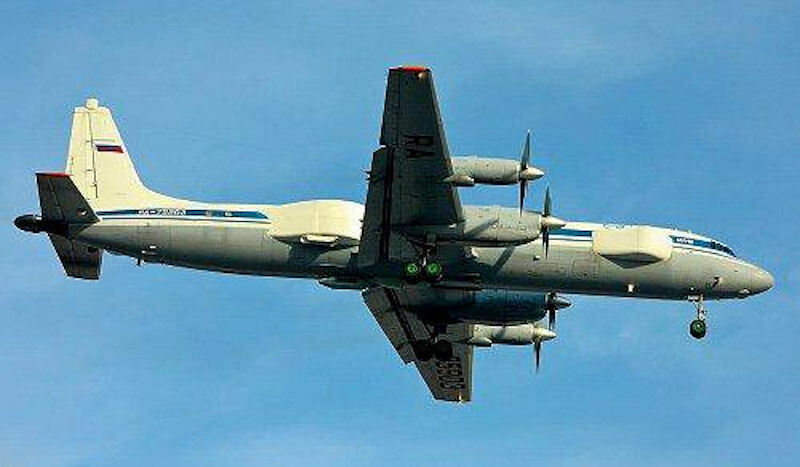 Since 2016, the Airborne Space Forces (RFS) of the Russian Federation have already received upgraded Il-22PP electronic warfare planes (the "director of jamming and incidental reconnaissance") with the new radio electronic warfare (EW) system and the Porubshchik reconnaissance. The Il-22PP allows to effectively combat aircraft of long-range radar detection and control, air defense systems, as well as manned and unmanned aircraft. As noted by the developers, the main feature of the complex is frequency selectivity, which ensures the preservation of combat readiness of domestic radio-electronic systems. Il-22PP was created by the Experimental Machine-Building Plant. V.M. 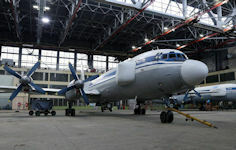 Myasishchev (under the management of the Aviation Complex named after SV Ilyushin) on the basis of the IL-18 aircraft. This medium-haul passenger aircraft was one of the first in the USSR civil aircraft with turboprop engines. In total, more than 700 different modifications were produced. Since 1974, the aircraft was gradually decommissioned and replaced by jet liners. IL-18 became a platform for many modifications. At the end of the 1960s, Il-20 was built on its base, and later several special purpose vehicles were built, including measuring complexes for rocket equipment testing, reconnaissance planes (IL-24) and air command posts. The equipment for conducting electronic warfare has been installed on an airplane made in the mid-1970s. Despite this, developers insist that the updated machine can withstand the most modern electronic systems mounted on advanced foreign aircraft. "The new equipment is capable of 'blinding' Airborne Early Warning and Control System [AWACS] aircraft," a source in the military-industrial complex told RBTH. "In addition to these, the Il-22PP Porubshchik effectively counteracts Patriot air defense systems." According to the designers, the new Il-22PP Porubshchik can selectively disable enemy equipment using powerful interference while obstructing similar enemy means of electronic warfare. "Before the electronic interference system starts, the plane scans radio signals in the area of its activity," RBTH's source said. "After the detection of frequencies on which enemy aircraft work, the aircraft's operator switches on interference in the desired range." According to Mikhail Khodorenok, a retired colonel and military analyst of the Gazeta.ru online newspaper, the Il-22 was a necessity for the military. "At one time, a few more options were considered: AN-140 and AN-158 planes with turbojet engines as well as the Tu-214," he told RBTH. "However, at the time of the formation of the ‘defense procurement’ in 2009, none of these models were not yet fully ready to be equipped with the latest electronic warfare [EW] systems." "Of course, this is not an ideal solution," he added, explaining why the new weapon has been placed on a "trusty old horse." "However, for lack of a better option, a choice had to be made – either to stay without the EW aircraft, or to mount the equipment on the tested wings." 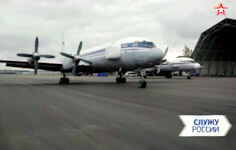 Khodorenok stressed that the Defense Ministry's decision is temporary, and the Il-22PP Porubshchik will be replaced with modern aircraft in the near future. Electronic warfare systems are used not only as a means to "attack," but also to make units invisible to missiles during fighting. For example, the Mi-24 and Ka-52 combat helicopters in Syria are equipped with the Vitebsk and the President individual protection systems. "Electronic warfare (EW) systems integrated into the hardware can also interfere with missiles with optical and infrared homing, and even deviate them from the original flight path," Dmitry Safonov, military observer for the Izvestiya daily newspaper, told RBTH. The capabilities of electronic warfare systems integrated into helicopters can be illustrated with similar radar protection systems against heat-seeking missiles. In an incident captured on the outskirts of Aleppo by fighters from the Authenticity and Development Front, U.S.-backed moderate opposition units, anti-government forces fired at a Syrian Mi-17 military transport helicopter from an Igla-1 anti-aircraft missile system. This video shows clearly how the electronics behaved. According to Safonov, land-based electronic warfare systems operate on a similar principle. In particular, Russia’s Khmeimim airbase in Syria is currently surrounded by Krasukha-4 systems – this equipment turns off all enemy land electronic systems within a radius of 250 kilometers. Flight characteristics IL-22PP is not the main advantage of it, a highlight in the filling. On the sides of the car there are side antennas, the suppression equipment works selectively. The detection system scans the space and collects data on the frequencies at which the enemy equipment operates. Only then active interference is activated, they act at certain frequencies and in the specified direction, without drowning out the equipment of Russian troops. 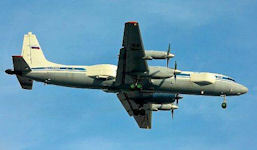 Il-22PP can be used for radio electronic reconnaissance, as well as group defense of aircraft from EW assets of the enemy. The developers of the Porubshchik's equipment claim that several such devices are capable of disrupting or even paralyzing all enemy actions in the required area. Some satellite navigation systems do not allow to determine the height of the object above sea level, with a big error and unsatisfactory for combat use,Viktor Murakhovsky, editor-in-chief of the journal Arsenal of the Fatherland, believes. "Therefore, ground-based differential correction stations are used to improve the efficiency of data in latitude and longitude, and greatly improve the data on the location of the object in altitude," the expert said. "The aircraft with the EW system also makes it possible to effectively pressure the data of these stations, which significantly degrades the accuracy of determining the position of the height of the object. "